Photo voltaic, or solar power modules are used to generate power from the sun. Orga’s explosion proof solar panels forms a part of a complete system that also comprises a battery unit, battery charger or rectifier unit and a distribution system. Designed to endure harsh and demanding offshore environments, the modular nature of our stand-alone power supply offering means that voltages of 24 volt and higher can be obtained by connecting the modules in series. Why do you need photo voltaic modules? A stand alone power system is used when it is necessary to generate electrical power in remote locations, or during periods when mains AC power is not available. 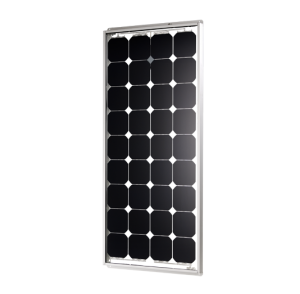 In addition to being manufactured to the highest standards, Orga OSP108EX solar power modules comply with the relevant IEC and Cenelec standards and certification requirements. Why choose for Orga stand alone solar system? Orga solar modules are manufactured using double-glass technology. They are optimally configured, individually selected and electronically matched and they are suitable for all types of applications. To meet the uncompromising circumstances in which they are typically deployed, they boast excellent mechanical properties that underpin high reliability. They can also be used in zones 1 and 2 gas explosion hazard areas. At Orga we have an enviable track record in the design, engineering and supply of stand-alone solar systems and there is so much more to them than just solar panels and batteries. We provide complete solutions, working with our clients to develop their systems, select the most energy-efficient equipment and tailor it all to meet their specific and demanding needs. We have an intuitive understanding of our clients’ objectives and the ability to reconcile these with the need to meet regulatory requirements that underscore safe operation. We offer innovative products, applying the latest technology to solar modules, solar regulators and control panels. Our proven long-term experience in renewable energy systems, coupled with the range of products we supply to the offshore oil, gas and wind power industries, give us an unparalleled understanding of our clients’ technical and environmental requirements. It’s not for nothing that our off-grid power systems are universally acknowledged as state-of-the-art, reliable, energy efficient and cost effective.